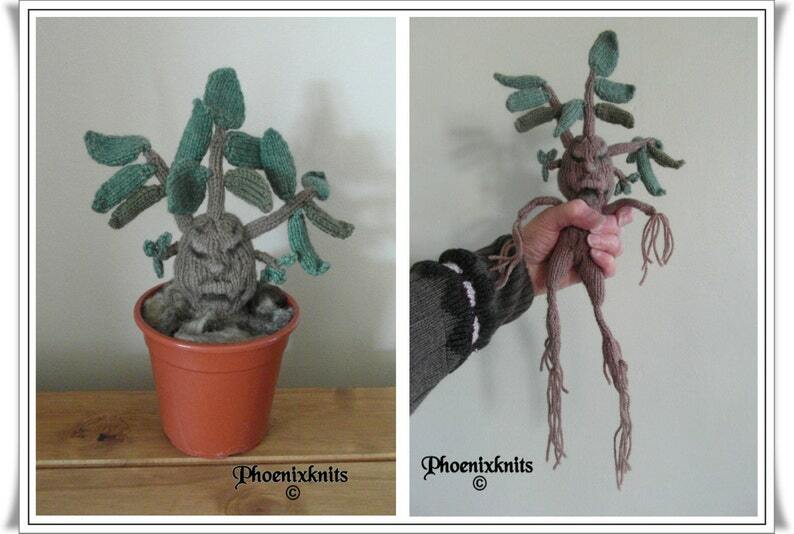 A comical Mandrake plant, similar to those seen in the Harry Potter films. He is 14 inches high out of the pot, this includes his roots, which are about 4 inches long (or longer if you wish). This is a very easy to follow pattern, with no complicated stitches or shaping. Great pattern really enjoyed the result!! Pattern was well written and knitted up nicely - made a cute gift for my Harry Potter fan friend! My cousin hinted at getting this made for Christmas, I had been eyeing this pattern for ages, I'm also making one for myself, I suspect I'll get lots of requests for others :-) I love it. At the moment Paypal is the only payment method I am accepting, although this may change in the future. All the patterns have been test knitted, but I, and my test knitters are human (well I think they are!!) and we do make mistakes. If you spot a error please contact me and I will correct it and send you the revised pattern. 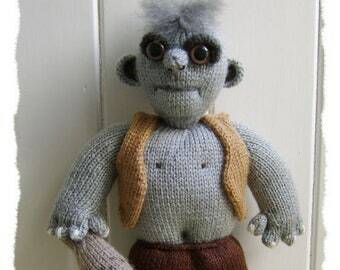 PLEASE BE AWARE THAT ALL THE ITEMS IN MY STORE ARE FOR PATTERNS TO MAKE THE TOY YOURSELF - NOT - FOR COMPLETED TOYS.